Start your own business, be your own boss and still get change from £100. This friendly, step-by-step guide will show you how you can live your small business dreams. Covering everything you need to know about making your idea a reality you'll finally be able to stop dreaming, and start doing - and all for less than £100. 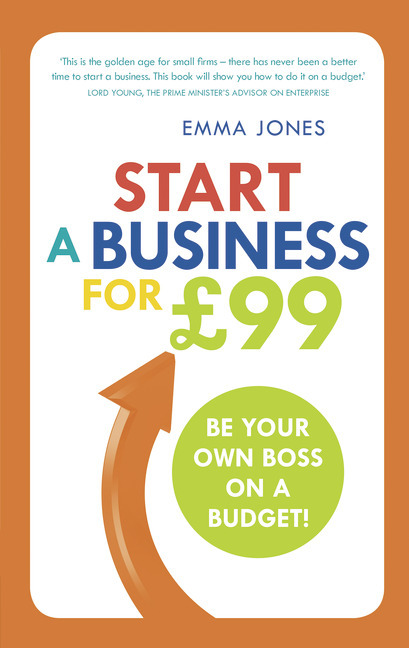 Emma Jones is a small business expert and author. She is founder of the UK’s most active small business network, Enterprise Nation and co-founder of national enterprise campaign, StartUp Britain. Emma speaks regularly at small business events and is often in the media commenting on small business issues. She received an MBE for services to enterprise in 2012.